Hampshire Generators recently designed, supplied and installed a 150kVA prime (165kVA Standby) rated diesel generator in Bournemouth, Dorset. The high quality Enrogen brand was selected by the customer for superior acoustic performance and the ability to choose a colour to match the installation surroundings – the grey colour looks good enough for us to think we may choose this for all commercial generators supplied by us in the future. The customer required a standby generator to cover his entire office building. 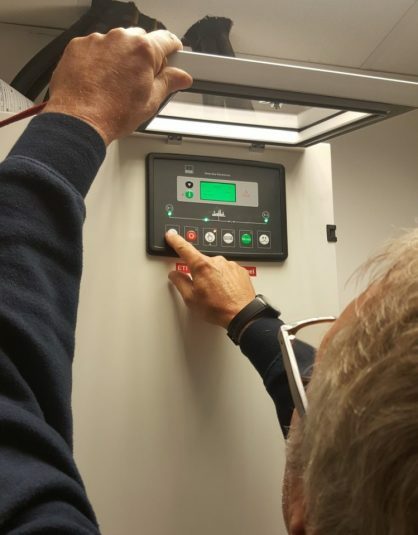 It was needed to ensure the business could continue in the event of power outages which were occurring more and more often with all the building work that is going on around Oxford Road in Bournemouth. Money was being lost by this business and they could see that a standby generator would pay for itself soon enough. 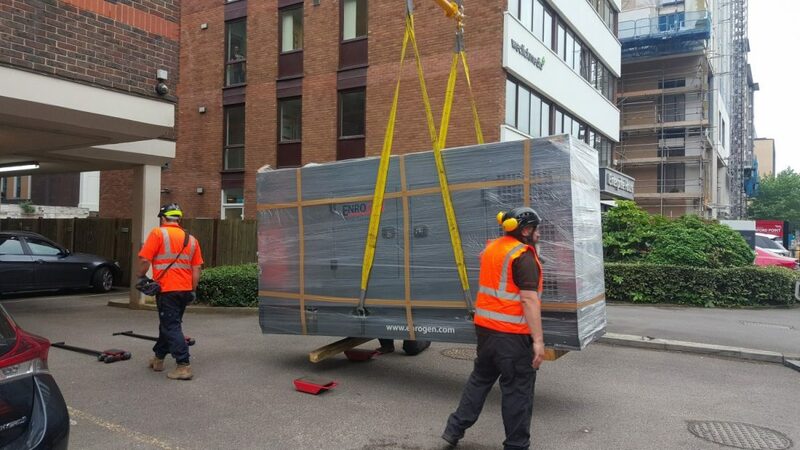 The load used by the building was monitored over a week to see what peak loads were required and a suitable 150kVA Prime power Perkins powered diesel generator set was selected. This, along with an automatic transfer switch (ATS) was designed, supplied and installed.The generator was delivered on a HIAB (lorry mounted crane) from Portsmouth and skated into position through the busy carpark under the building by our man Nick Steel and his able assistant Chris. The ATS was a 400A TPN motorised switch unit which was installed within the customers building – the generator itself was installed in a car park area to the rear of the building – after discussion with the customer the power and control cables where carefully installed under ceiling tiles between the generator and ATS by our partners Lewis Electrical Ltd – thanks to Adrian Elms and his team for a great job done. On the day of the generator commissioning, the fuel tank was filled with 180 litres of red diesel, the entire installation was checked over by Gary Chrismas (our very experienced commissioning engineer) and the set was started, off load, for the very first time. Adjustments were made to the control system timers to ensure perfect operation and then the final full building load mains failure test could commence. You can see a video of the entire installation below – edited down to 60 seconds – it took a bit longer than that in reality. The customer was delighted and signed off the installation without a single snag. Of course, the customer wants us to look after this unit now and has signed up for an annual generator service and maintenance contract – Hampshire Generators will be visiting every six months and will be responsible for routine maintenance, generator refuelling, remedial repairs and load bank testing. 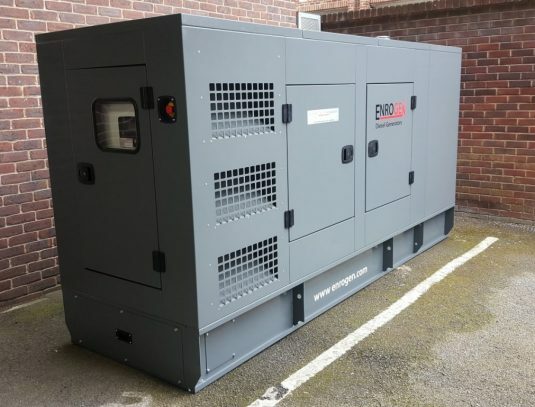 The Hampshire Generator & UPS Company are leading experts in the design, supply, installation, maintenance and repair of generators from 1kVA to 3000kVA – unlike most other companies we look after the complete range from your leisure / camping generator up to a full industrial standy installation. Our prices are pretty good too – give us a try!